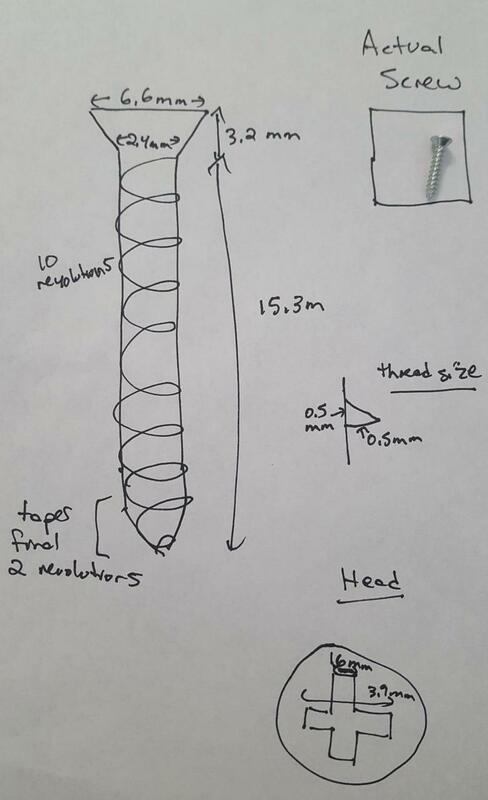 I am interested in using 3D printing to model and visualize mathematics. To explore this, I will analyze and study a tesseract. A tesseract, or hypercube, is a 4 dimensional cube. It is analogous to a cube in our 3D world. Tesseracts are challenging for 3D beings to visualize and understand. They are theoretical structures that can be understood mathematically. Tesseracts can interact with a 3D world in a way that is similar to a cube interacting with a 2D world. A 2D being cannot understand, visualize, or fully experience a cube, but as a cube rotates around, they can gain a better understanding of what the structure is like. Similarly, a rotating tesseract can help us understand what they are like. 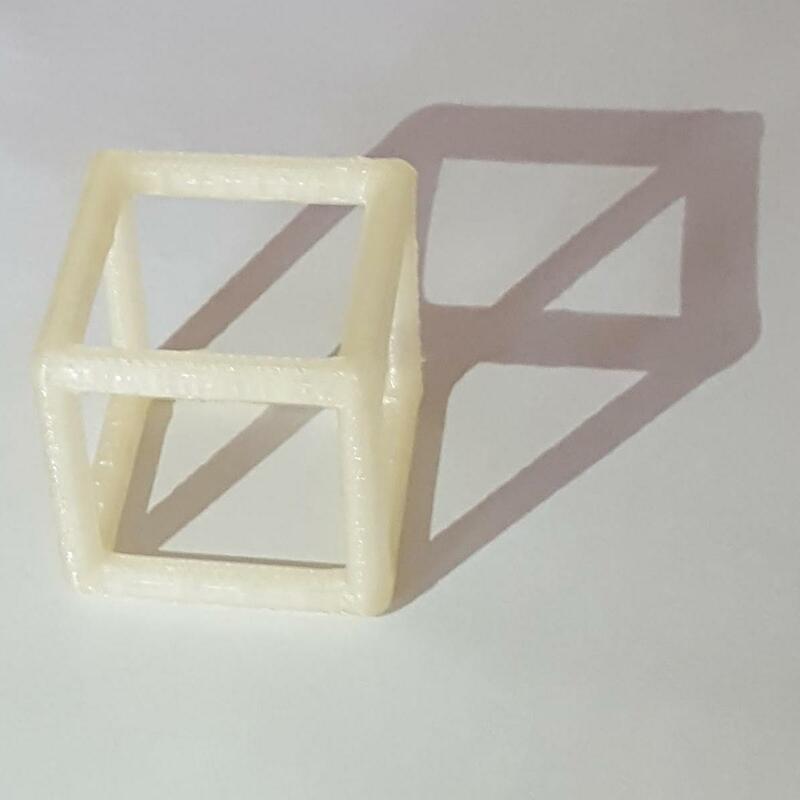 Using math and 3D printing, I can create multiple versions of a rotating tesseract. 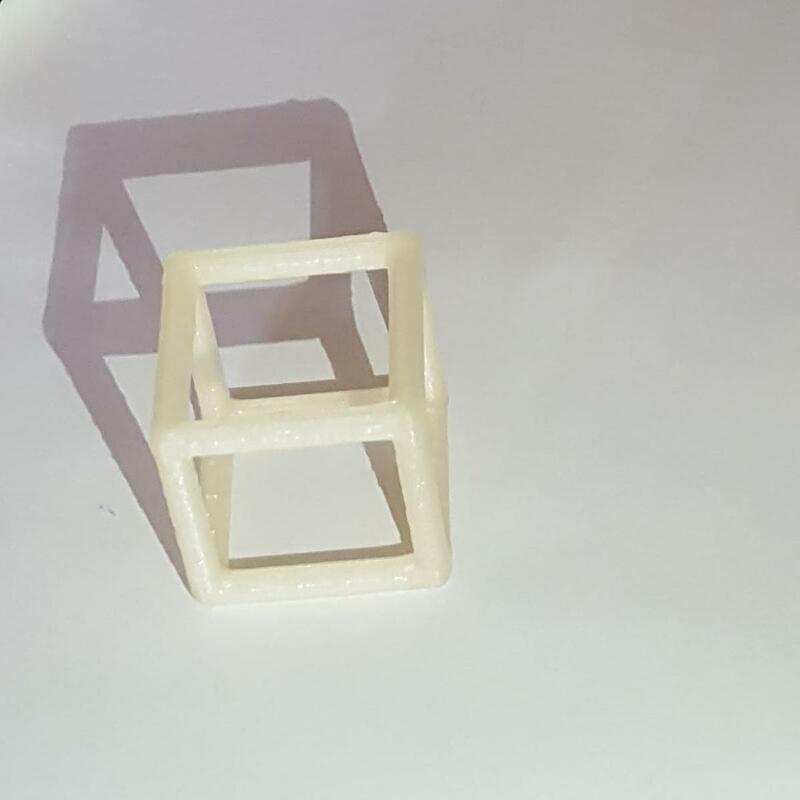 These 3D printed tesseracts can be assembled in a stop motion animation to show what the tesseract looks like as it rotates around 4D space. This project was inspired in part by the book Visualizing Mathematics with 3D Printing. 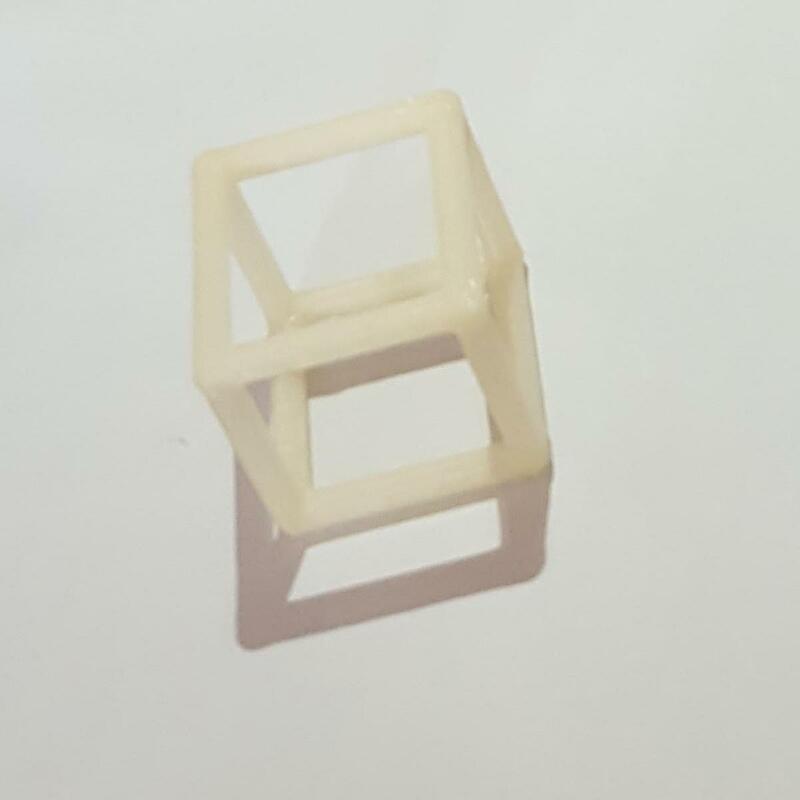 Consider a 3D printed cube. 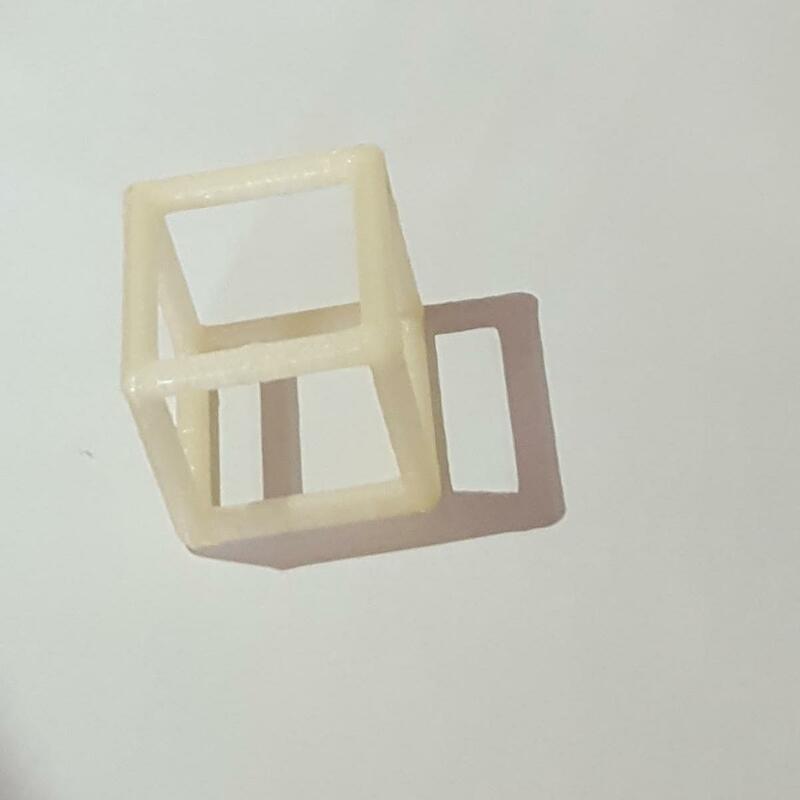 This cube will cast a different shadow onto a piece of paper when the light source moves around. Beings living in a 2D world will experience the cube differently depending on how the shadow is cast onto their world. Similarly, a 4D cube, or Tesseract, can also cast a shadow onto our 3D world. It is challenging to think about this because we do not directly experience the world in 4 dimensions. Nevertheless, I was able to model a tesseract using Python and Rhino. Specifically, I modeled a 4D tesseract and its perspective projection onto 3D space. This model will change as the tesseract rotates in 4D space. The projections were modeled in Rhino using the RhinoCommon SDK. 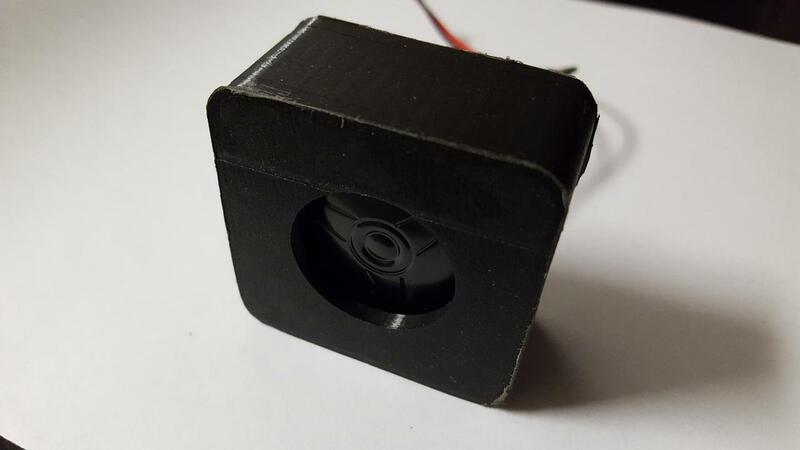 Previously I designed and printed a 3D speaker case to use in my Physical Computing class. 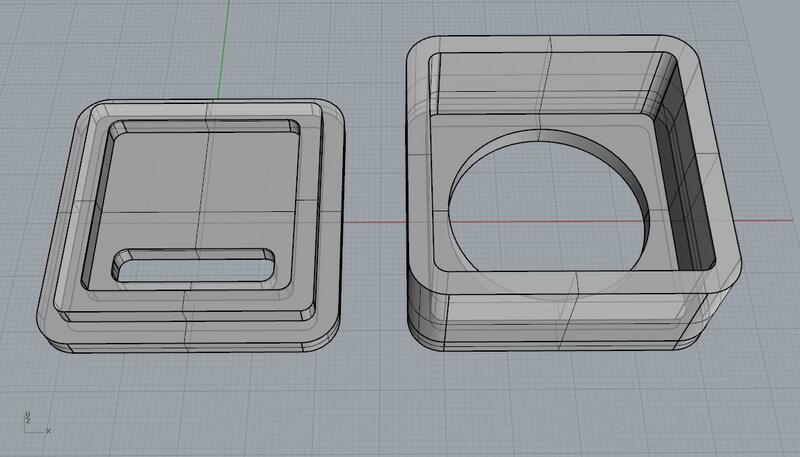 The speaker case worked well but I made a design error in Rhino. The front opening for the speaker was smaller than I intended it to be. All I had to do is make the opening larger and print out a new one. Sounds simple right? How could this possibly go wrong? 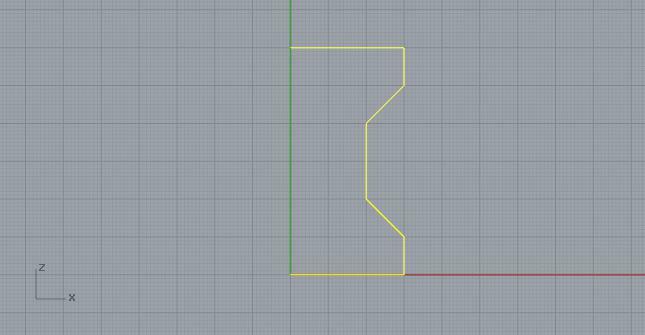 Next, I proceed to the 3D printer. This time I used the Ultimaker 2+ printer with a 0.6mm nozzle. Previously I used the Ultimaker 2+ Extended printer with a 0.4mm nozzle. Since my model isn't particularly detailed I thought I could save myself some time printing with a 0.6mm nozzle printer and lower resolution settings.